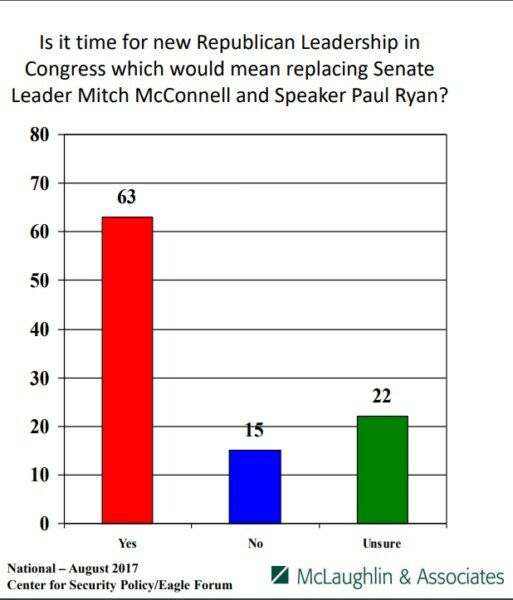 In a McLaughlin and Associates likely voter survey recently, respondents were asked if it is “time for new Republican Leadership in Congress, which would mean replacing Senate Leader Mitch McConnell and Speaker Paul Ryan? 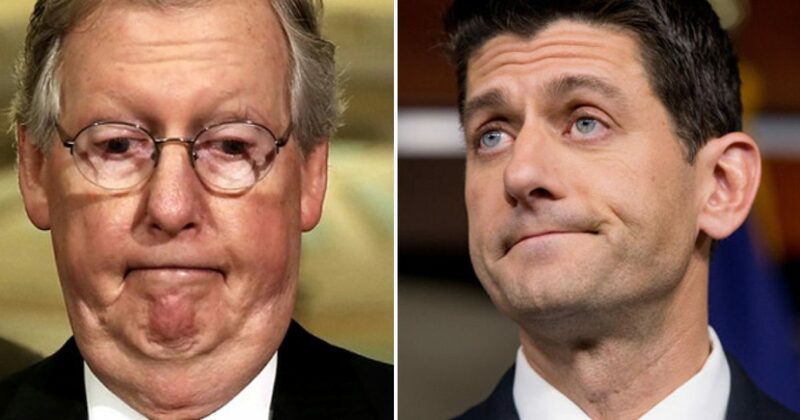 Overwhelmingly, by a more than 4-to-1 margin, American voters are sick of Paul Rino and Mitch McConnell. Rinos are tanking in popularity, but don’t take my word for it, check out Jeff the Flake’s and John McCain’s recent polling numbers. Not pretty! Of the 100 senators in Congress, the three lowest approval ratings are for Rinos McCain, McConnell, and Flake.